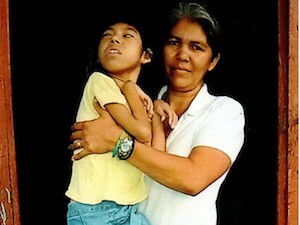 This facet of our ministry is directed to a specific group of people… “Special Kids With Needs” and their families. Pastor Diomedes Santeliz to develop the Program. Working very closely with Pastor Diomedes, we have identified 160 young people of various ages who all have some very special challenges in their lives. These needs vary widely… mental retardation, Cerebral Palsy, Downs Syndrome, blindness, deafness, Kidney Disease, severe diabetes and other afflictions. Life in Nicaragua is tough for the majority of the population, and it especially so for the folks who live in the rural communities surrounding Somotillo. But having a child with special needs makes it exponentially harder. These really are the folks that society has a way of overlooking… or just forgetting about altogether. We want them to know that somebody really does care about them. 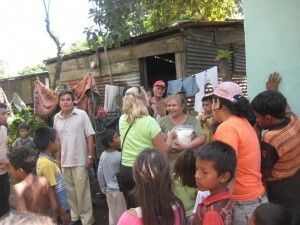 More importantly, we want them to understand that Jesus loves them and cares for them. Our desire and goal is to see each one of the family members of these special kids have a personal and growing relationship with Jesus Christ. 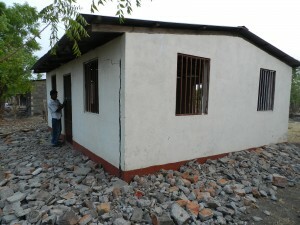 Sometime this year, our hope is to start construction on the first phase of the New Vision Special Needs Center. When complete, this facility will offer physical therapy, various activities, games and crafts for the kids. Besides that though, our aim is to provide a place where family “support groups” can come together. This way the parents and family members of the kids can get to know each other and offer words of comfort as only someone in a similar situation can. Ultimately, we hope to lead weekly Bible Studies and worship services, especially for family members. We are very excited about the potential this Program represents for these kids, their families and the communities surrounding Somotillo!